Old School BMX Reproductions 1983 600A decals by Redline..
Old School BMX REDLINE Head Badge - Red/Silver By RedlineRedline Retro rebuilders. Look what jus..
Old School BMX REDLINE Head Badge-Y2K Black By RedlineRedline Retro rebuilders. Look what just a..
Old School BMX Reproductions 1976 Square Back decals by Redline..
Old School BMX Reproductions 1980 MX-2 decals by Redline..
Old School BMX Reproductions 1980 Proline decals by Redline..
Old School BMX Reproductions 1980 Proline Decals White by Redline..
Old School BMX Reproductions 1981 PL 20 Decals by Redline..
Old School BMX Reproductions Flight Retro Crank Decals by RedlineRedline has brought them back! 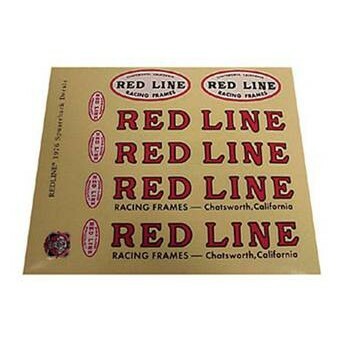 ..
Old School BMX Reproductions Redline 1984 PL20 decals by Redline..